Guide traffic, mark off hazards and restrict access indoors and outdoors. The high strength, tightly woven belts in Retracta-Belt® posts are available in 10' - 30' lengths. Retracta-Belt® posts are compatible with most existing posts from other manufacturers. Heavy gauge aluminum or PVC construction makes each post rustproof and highly resistant to the outdoor elements. The outdoor-rated Utility Posts (Models 302, 303, 322, and 323) are constructed of high quality recyclable aluminum or premium PVC. 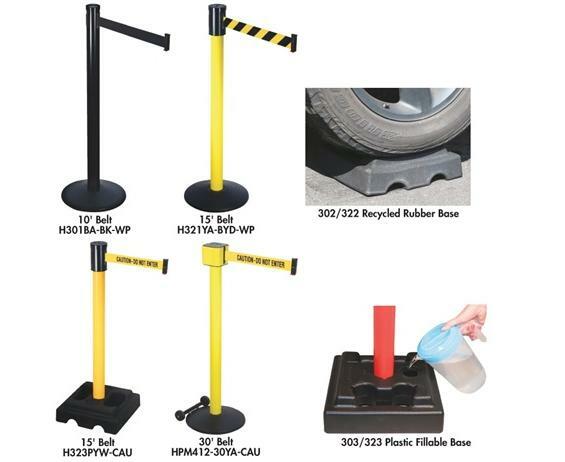 Posts insert easily into a solid 100% recycled rubber base or a plastic base that can be filled with water or sand to increase the base weight up to 30 lbs. Utility Posts bases include a convenient carrying handle and storage spot for when posts are not in use. All posts except HPM412 ship Knocked Down in multiples of two. All products featured have a 10 year warranty. 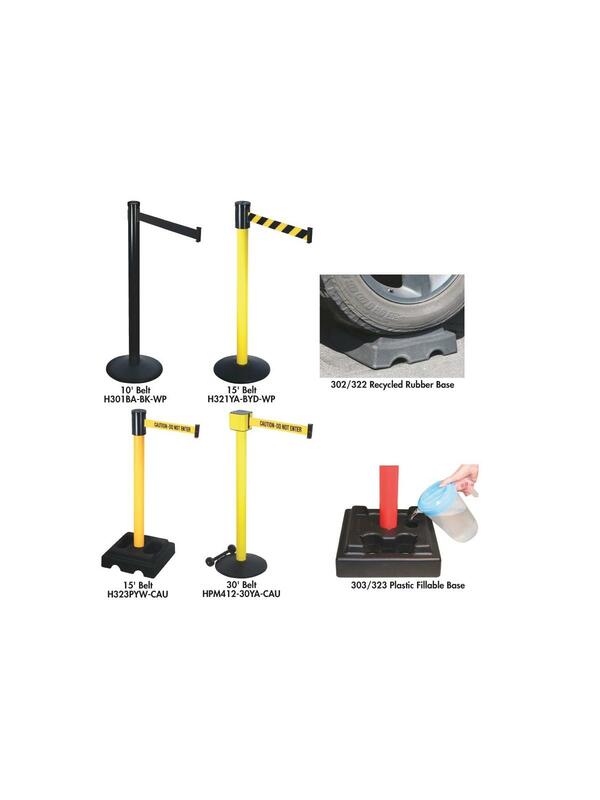 Economy stanchions feature a cement base suitable for lighter traffic areas and come with a 3 year warranty. They must be ordered in multiples of 2. FOB Shipping Point. Steel and/or aluminum surcharge may apply. Many additional finishes, belt options and models available. Call for details.